Eddie Johnson and his wife, Melba bought Holmon Funeral Home in 1948. They changed the name to Johnson Funeral Home and quickly made Newbern and the surrounding area their home. They practiced the principles of honesty, loyalty and concern for others. Mr. Johnson was proud to serve as President of the Tennessee Funeral Directors Association. In 1980, Steve and Pattye Williams joined the firm and contiuned operating under the principles and values that were established: "The Funeral Home That Cares" and "Our Family Serving Yours. Steve and Pattye have been active in community affairs and have always been proud to call Newbern (Dyer County, Tennessee) their home. 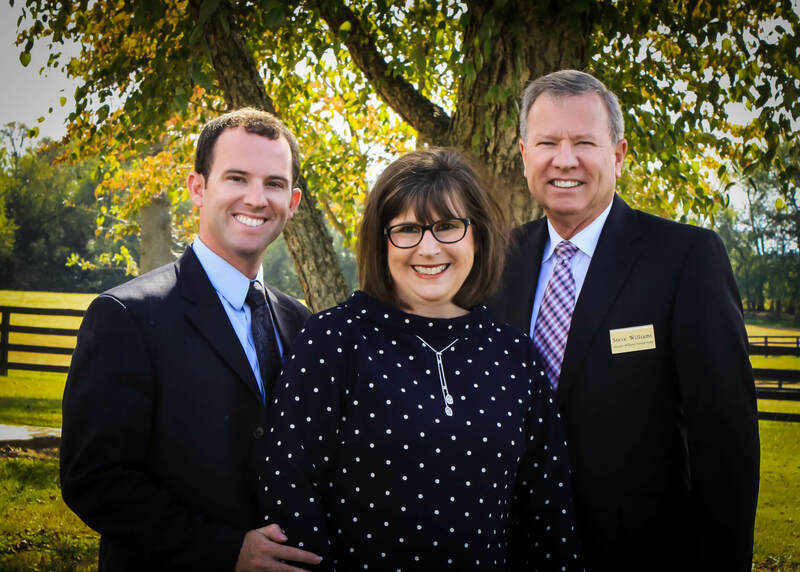 in 2007 Patrick Williams, Steve and Pattye's oldest son , joined the firm and the name was changed to Johnson-Williams Funeral Home. Patrick brought with him a new vision and a bright new future for the business. In 2009, Steven Williams (Steve and Pattye's youngest son) received his funeral directors license. Now seventy years later, the Williams Family remains dedicated to keeping the business a family owned and family managed organization. Two generations of the family are now involved with the operation of Johnson-Williams Funeral Home. The caring and experienced professionals at Johnson-Williams Funeral Home are here to support you through this difficult time. We offer a range of personalized services to suit your family’s wishes and requirements. You can count on us to help you plan a personal, lasting tribute to your loved one. And we’ll carefully guide you through the many decisions that must be made during this challenging time.